Feb 09, 2016 (LBO) – The critical role earmarked for joined-up public transport in Colombo’s development and what can be done to boost lending for housing were two topical issues explored by senior figures at the Urban Development Authority (UDA) with the Oxford Business Group. The UDA’s director general Nayana Mawilmada said Sri Lanka’s inadequate public transport system was largely to blame for the huge rise witnessed in vehicle imports. The longer-term consequences of failing to address this issue, he warned, would be significant. “The introduction of mass transit is critical. 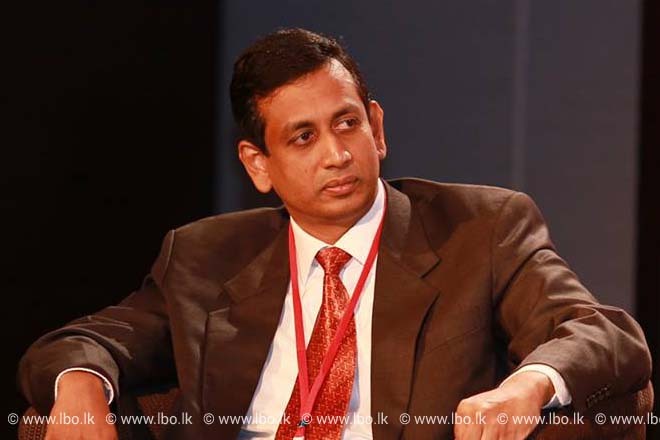 The decisions on how we incorporate a suitable public transport system, including different systematic tiers of service linked with land use under a single authority, will determine Colombo’s success or failure as a city over the next 10 years,” he said. Mawilmada acknowledged that overhauling the current system, including Colombo’s “very fragmented” bus service, presented a formidable social challenge. “There are approximately 8,000 buses in Colombo, mostly operating as small enterprises, and studies indicate we need only around 4,000 to run efficiently,” he said. The need to make more long-term funding available for housing – a key issue for the authority – was highlighted by the authority’s chairman Ranjit Fernando. Currently, housing finance is equivalent to just 5% of GDP. Fernando said that part of the problem stemmed from banks preferring to deal primarily in short-term funds. “A bank does not want a significant mismatch in tenors between funding and lending,” he explained. “But housing inherently needs longer-term lending.” Redirecting funds that were being used to balance the budget to the banking sector would provide an incentive for banks to increase their lending for home purchases, he noted. “The government is now focusing on releasing land, stimulating the market to build and providing incentives for development, such as tax breaks and infrastructure provision,” he said. The full interviews with the UDA’s representatives will appear in The Report: Sri Lanka 2016, OBG’s first report on the country’s economy.